Henry Marsh has spent a lifetime operating on the surgical frontline. There have been exhilarating highs and devastating lows, but his love for the practice of neurosurgery has never wavered. Prompted by his retirement from his full-time job in the NHS, and through his continuing work in Nepal and Ukraine, Henry has been forced to reflect more deeply about what 40 years spent handling the human brain has taught him. These are the extraordinary realities of the NHS front line. From the historic junior doctor strikes to the 'humanitarian crisis' declared by the Red Cross, the overstretched health service is on the precipice. This is a powerful polemic on its systematic degradation and a letter of optimism to that same health service and those who support it. 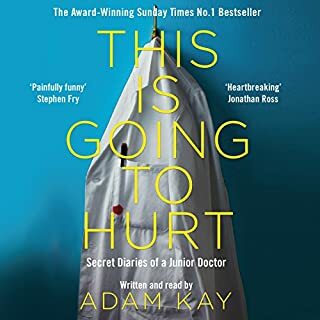 It captures with tenderness a new doctor's experiences of an NHS at breaking point. Atul Gawande offers an unflinching view from the scalpel's edge, where science is ambiguous, information is limited, the stakes are high, yet decisions must be made. 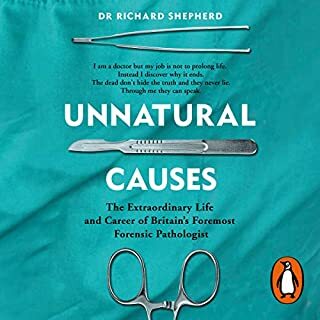 In dramatic and revealing stories of patients and doctors, he explores how deadly mistakes occur, why good surgeons go bad. He shows what happens when medicine comes up against the inexplicable: an architect with incapacitating back pain for which there is no physical cause; a young woman with nausea that won't go away; a television newscaster whose blushing is so severe that she cannot do her job. Gawande also ponders the human factor that makes saving lives possible. This is a great and informative book. However, it would be even better unabridged. There is a lot of good stuff left out of this abridged version. 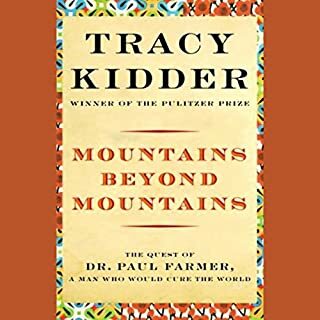 When I finished this audio book, these words came to me: It is about time someone took the mysticism out of the medical community. It gives hope in large doses. This is a very well written, informative book and very well read by the narrator. As a surgical nurse and patient advocate for 25 years, I have seen a lot and worked with hundreds of surgeons and the entire gamut of every physician type that this author speaks of. Yes, in the early days, with the crazy ones and the fools, I have watched the Good Old Boys Club protect their own even when they knew it was the wrong thing to do. But I have also seen true courage, love for the patients, love for the work, unwavering dedication, astounding skill, beautiful and artistic craftsmanship, and absolute advocacy for a patient's wellbeing. This book helps the reader rethink the outdated impression that doctors should be deified and thus obeyed unequivocally. That there is as much of a balance of good and bad in the medical community as there is in any community and that, with an educated point of view, knowledge becomes your empowerment to help make the decisions effecting your life. This book instills in the reader the imperative to proactively undertake the partnership we all should have with our doctors regarding our own health care. And most importantly, even when to walk away from the situation if needed and seek out another doctor who will acknowledge the partnership. 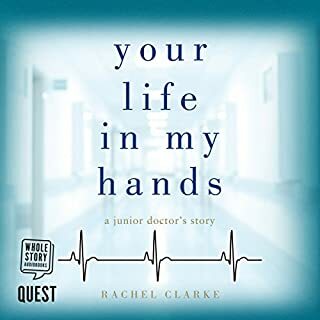 The doctor/author helps with the reader's understanding that the majority of our doctors/surgeons are, after all, only human and though experts at what they do, are simply doing what we do in our professions every day: do the best you know how with what you have to work with. This is a book on theory and practice of medicine and the philosophy of science that informs them. It would be wrong to read it as a consumer-oriented book. 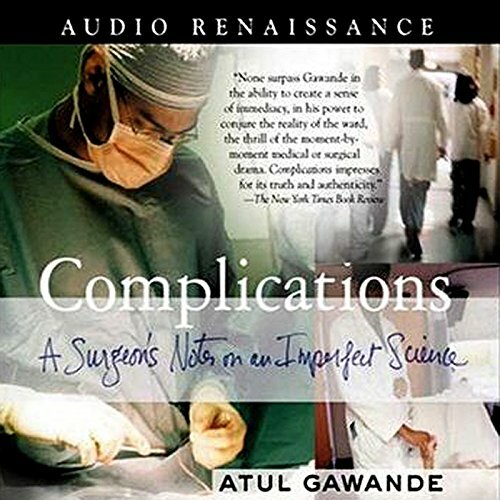 Read in proper light, one is impressed of Dr. Gawande's intellectual honesty and curiosity. It is very well written and very thought provoking. This is a fantastic book. It will be enjoyable for anyone with some interest in medicine, and most likely will be thoroughly enjoyed even by those with no interest in medicine. It's not really heavily focussed on technical aspects of medicine, though there is some detail about medical procedures but it's generally just part of setting the scene of the story. The book is mainly a collection of stories with a common theme - that doctors are human and sometimes make mistakes. There are some stories about negligent doctors, but primarily it's about good doctors who aren't always right. There is a kind of running ethical dilemma about the balance between training and giving practice to new doctors and giving patients the best care. Wonderfully talented writer who captures the essence of the medical experience. I felt like I was an intern again, once again putting in my first central line. I had flashbacks of various complications that I had seen in my training. Both those complications that taught me to be a better physician, and those that were tragic leaving emotional scars. The first part of the book where he goes into detail about how malpractice affects physicians and is ineffectual in improving health care should be mandatory reading for all physicians. We will all be sued. It is not a mater of if, but when. Even the most trivial lawsuit has a significant emotional effect on the physician. Somehow the tremendous personal effect of a lawsuit upon a physician is lost among the general population. Another wonderful part of the book is the extended follow up that he has with some of the surgical patients. My only regret was that this was an abridged version. Still I give it 5 stars. I anxiously await the authors next book "Better" that comes out this spring. For more from this author you should read the commencement speech he gave at Harvard Medical School's graduation 2005. Would you let a young inexperienced surgeon operate on your child or yourself, even if it involved a greater risk of complications, so that they could become better surgeons? Almost everyone would answer no to this question and indeed when the authors own son experienced a complication, he insisted on an experienced surgeon. Despite this it is an unavoidable fact that surgeon need practice and if they are not allowed to practice there will be no good surgeons in the future. The reader of this book will receive an insight into the dilemmas faced by surgeons. 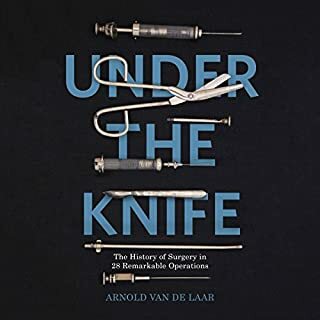 It is a book that acknowledges the fantastic benefits of surgery while simultaneously acknowledging the fact that doctors are merely human beings and that even with the best of intentions mistakes are frequently made. ●	How much should you trust a doctors “intuition” - and how does it compare to neural networks and machine algorithms. ●	How should you deal with bad doctors - doctors who compromise the care of their patients because they have a depression, are stressed out or have a drinking problem (again doctors are just human beings and are affected by such things too). Gawande takes on these and other questions. He is consistently honest about the limitations as well as the benefits that surgery involves and it seems that he does not hide unpleasant truths. All in all, Complications is a good intriguing book which I would recommend to anyone interested in surgery or medicine in general. the audible book was missing 3 chapters of the book. I feel as if they need to add these chapters as to understand the book better. 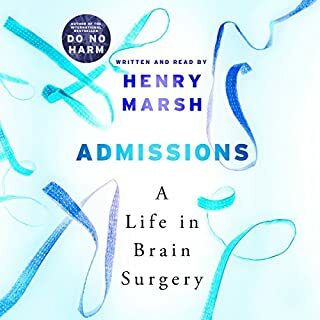 This is a thoughtful, engaging and entertaining account of a doctor's experiences with the imperfect art of practicing medicine. It makes you think about human decision making, ethics, medical mistakes, the psychology of healing, etc. If only all doctors (and people) were as sensitive and thoughtful as Atul Gawande. I would recommend it to almost anyone because many of the topics apply to situations outside of medicine. If you like this book or want to read something similar I enjoyed, "Better," Gawande's newer book just as much or more. This book was one of the more interesting ones I have read. It was informative and entertaining. The author has definately done his homework as he has provided good insight, with statistics, into how we make decisions. It's really worth reading. I have told all my friends how great and suprising this book is. Selbst wenn man die medizinischen Begriffe im Englischen oft nicht kennt, kann man den einzelnen Geschichten und Episoden sehr gut folgen und die Inhalte verstehen. Must read for everybody working in a medical profession! Recommended for everybody else as well!